現存世界上最有名的建築師是哪一位呢? 貝聿銘? Foster? 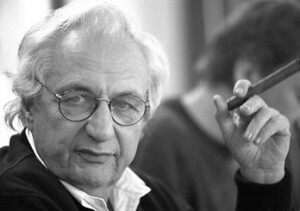 如果說是 Frank Gehry, 我想雖不中亦不遠矣. 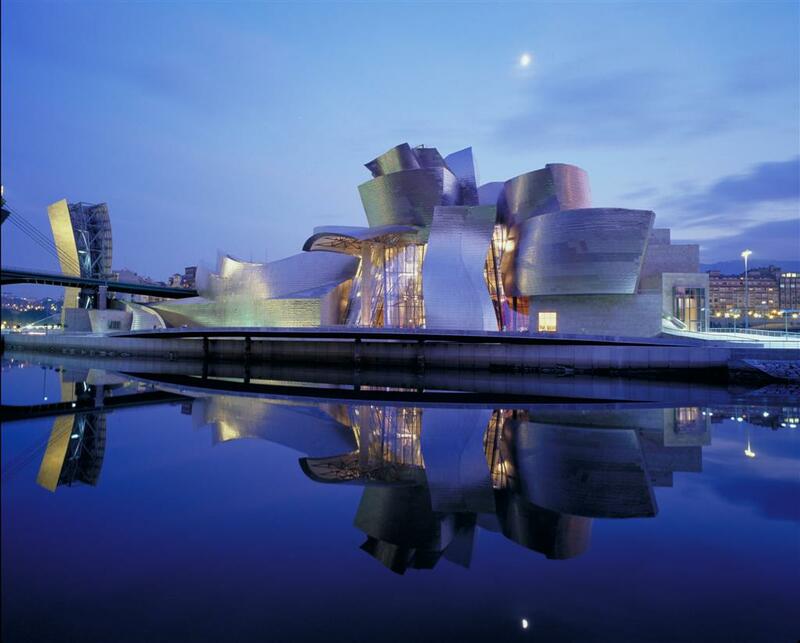 Frank Gehry出生多倫多猶太人, 原名 Frank Owen Goldberg, 因害怕被歧視而將其猶太姓改成Gehry. 後來這成為他畢生憾事. 說到他的建築, 不能不說使他由行內名建築師, 變成家傳戶曉的名人的 Bilbao Guggenheim Museum. 從很多角度來說, 這座博物館都是二十世紀最成功的建築. 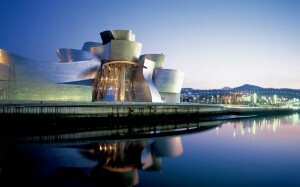 先不說Bilbao Guggenheim的建造, 不超時, 不超支, 對於如此奇形怪狀的設計來說, 是十分難得. 反過來, 現在Foster 設計蘋果電腦總部就要超支二十億美元. 在經濟上, 博物館成功地帶領一個曾經一度風光卻快被淘汰,的船塢, 鍊鋼城市, 變成一個具國際地位的文化城市. 這正是市長開發這項目時的用意, 用博物館來帶領整個城市重建, 多少城市嘗試轉營也不能成功, 但Bilbao市卻能起死回生, 更因此出現 Bilbao 效應一詞. 建築上, Philip Johnson 形容其為 “我們時代最偉大的建築”, (要知道當時已年紀一把的他的 “時代”特別長, 見過的偉大建築也特別多). 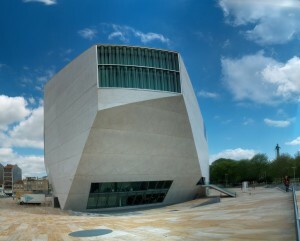 Bilbao Guggenheim被認為能將建築變成彫塑, 開創彫塑建築的風格. Bilbao Guggenheim不單是在建築意念,在建造的科技上也是劃時代的, Frank Gehry自行研發新的電腦技術, 來配合其複雜的建築立面, 自Frank Gehry 作開路先鋒後, Calatrava, Zaha hadid, Rem Koolhaas 的自由型態就有可能了. 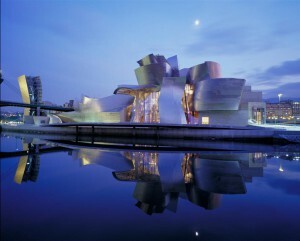 自Bilbao以後Frank Gehry名噪一時, 之後的作品還有 Disney Concert Hall, 西雅圖 EMP Museum等. 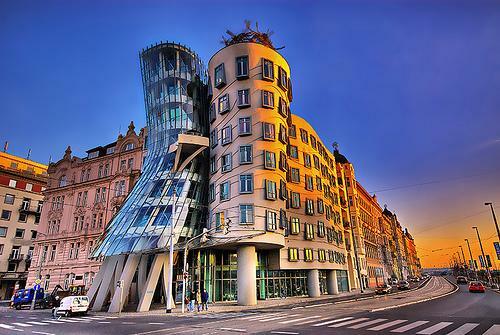 Also, I’d LOVE to hear more reasons why Gehry’s designs are so acclaimed, other than that the shapes are unusual. 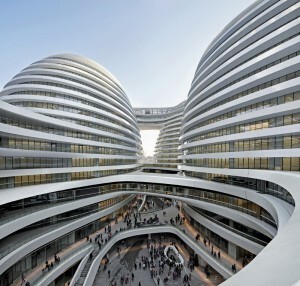 Or is that enough reason for a piece of architecture to succeed? one of the most important contributions is that the building being so unusual shaped and get built, so we can now claim that we can build any form as far as we can imagine it. 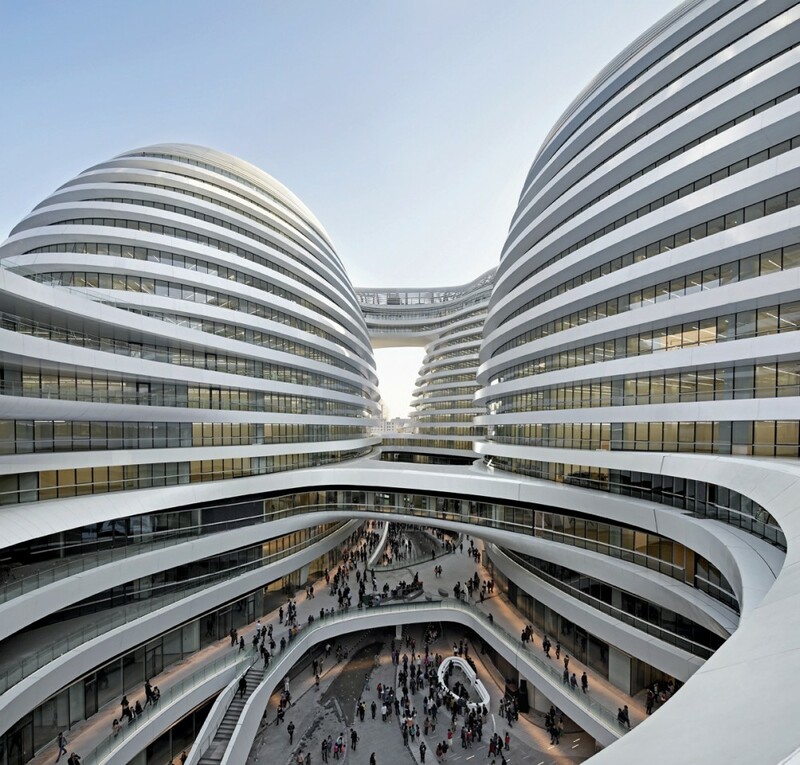 So, Gehry opens a new way for all the later form-sculpting architects. I went to see his exhibition in HK several years ago. His projects are quite surreal. 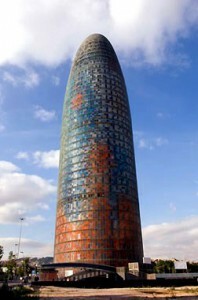 Now that we have his design in HK (a residency in Stubb’s Road)and it is not so dramatic than his previous works. 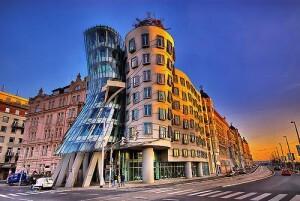 Will take a look of this building when I have time. Anyway I am happy that he is from Toronto.